A grant-making trust is an organisation that gives money to charities. Because a lot of trusts prefer to keep a low profile, it’s hard to know how many operate in the UK. However, a European Union estimate puts the number at 8,800. The EU also believes the top 500 of these trusts hand out something in the region of £3.3 billion in the UK each year. The reason many of the trusts maintain a discrete presence is simple: they don’t want to be overwhelmed with requests for money. But their desire to fund charitable work is no different to that of high profile trusts. The majority of grant-making trusts have acquired their money thanks to endowments. In other words, philanthropists have given them lump sums, property and other assets. But the rich do not have a monopoly on such benevolence. A lot of endowments are modest sums from ordinary people. A few trusts also engage in fundraising. One of the most well known of these is Comic Relief. With around 8,800 grant-making trusts in the UK, it’s no surprise that the types of project they fund cover a wide range. 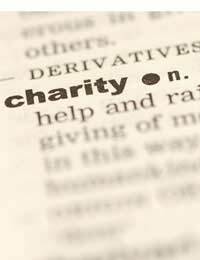 It’s likely that a charity seeking money will find at least one trust that may be able to help. Roughly speaking, there are categories into which almost all the trusts fall. These include the arts; community development; crime prevention; disability; education; the environment; ethnic diversity; health; housing; older people; rural development; scholarships; and young people. This is not a comprehensive list, however. It’s merely an indication of the areas in which many trusts take an interest. To give an idea of just who the grant-making trusts are, it’s useful to mention some of those who give the most to charity. Among the top 15 in the UK are The Wellcome Trust; Cancer Research UK; The Royal Society; The Wolfson Foundation; and The Gatsby Charitable Foundation. Between them, the top 15 donate around £1.6 billion a year. Despite the number of grant-making trusts and the amounts of money they have, it’s not necessarily easy to apply for funding. This is because there are no set rules. An original benefactor may have established these some time ago. Or the objectives of a trust may have developed over the years. Either way, trusts operate according to their own aims and terms. This means that anyone who wishes to apply for money must conduct research of the trusts that are out there. Here the Internet and its search engines can prove useful. But only those trusts happy to receive publicity and maintain a web presence will appear. Other forms of research include asking contacts and colleagues; making enquiries at a library; and keeping a watchful eye for local and regional funding opportunities. The next step is to understand the aims of the trust, it’s then vital to make sure a proposed project falls in line with these. If everything seems to match up, it’s wise to phone the trust to discuss matters further. Creating and maintaining personal contact will greatly help a funding application. Finally, the trust will want a letter or completed application form. This is the chance to give the details of the project. The best advice is to keep to the point and supply supporting information. This information may include recent accounts and details of other projects. Proving financial stability, and displaying a successful track record, gives credibility to an application. What the application process boils down to is having a good project and planning ahead. Grant-making trusts are willing to give money to charities – it’s their purpose – but they like to see realistic projects that are likely to work. Hello i'am paraplegiq and i'move at wheel chair.i'haven't benefits on uk and i'am lonley her.i'need and hope your help,because i'can't to support my self and i'need samone to look after me.please to helpme to get a free accomodation from church or charity or samthing same.please ,thank you. Would like help on how a south african can find funding in the uk for studies in new york film school?